Consider this: If inflation eats away at retirees' purchasing power (ability to purchase the same goods and services you’ve grown accustomed to) and if history teaches that fractional ownership in a broadly diversified basket of companies (often called stock portfolio) has been over twice as effective as bonds in outpacing the corrosive effects of inflation, then it begs the question: Why don’t rational retirees own stocks and not bonds? I believe the answer in a word is fear. Children of the Great Depression (my grandparents) had a fear of financial markets that was palpable. If this weren’t enough there are the 12, very real, bear markets that saw a decrease in price of 20% or more of a broad index like the S&P 500 or Dow Jones Industrial Average. Today’s baby boomers (my parents) were either born into, or lived through such pullbacks. Insert FEAR. We know that fear exists and can influence the decisions that you are likely to make when investing your family’s hard-earned money. So, we choose to start right there as part of our client onboarding process. We have an itemized list of each of those 12 bear markets. We want to name and identify them by the date they began as well as the date they bottomed, with the corresponding percentage drop in price for each event. Our reason for walking you through this important history is to stare down the bear. Get to know the truth about them, and see what, if any, conclusions can be drawn. I believe truth trumps fear. A realistic review of the truth of all 12 bear markets allows us to glean some valuable information. In my opinion the biggest takeaway, and perhaps hardest to emotionally digest, is that each of the bears was temporary. What this means is the old adage “this too shall pass” historically has been true regarding the sharp, unexpected, often unexplainable drops in prices of publicly traded companies. 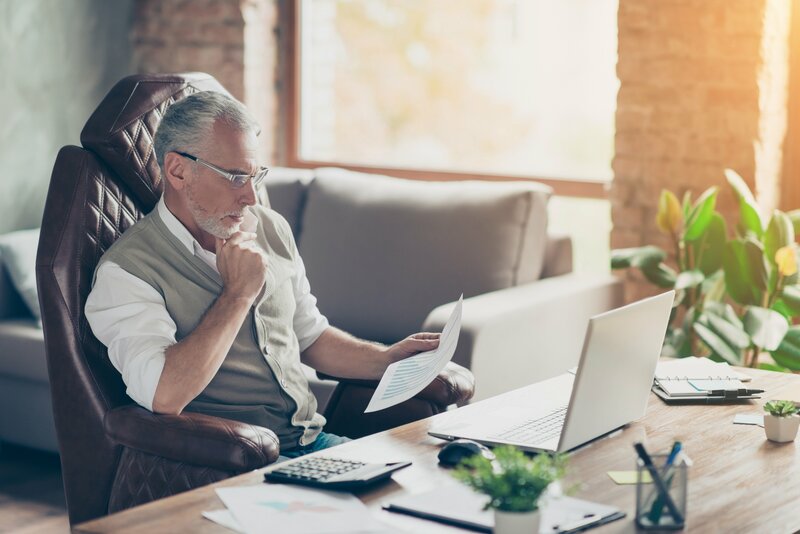 Volatility is the hot button word for many retirees and the first thing I like our clients to see is that these price fluctuations called volatility can be defined as a: TEMPORARY interruption in the long-term, permanent advance of publicly traded companies. If the drop in price of broadly diversified equities has only ever been temporary, then what might someone need to endure the painful, emotional, times where prices are down significantly and it seems as though the financial world (and your hard-earned money) is sinking before your eyes? In my opinion this might very well be the most important question for today’s retirees to be asking themselves. Strategy 1: If the average bear bottomed after 15 months, why don’t we set aside 24 months of living expenses in cash? Notice I said living expenses and not just portfolio distributions. Let’s arm ourselves with an ample amount of cash so when the inevitable bear market happens we can choose to fear not. Strategy 2: Let’s equip ourselves intellectually by studying previous bear markets so that we are thoroughly familiar with them and familiar with our own “fire drill” for how we’d like to respond in the future to these events. Strategy 3: Let’s consider drawing your income for periods of time from cash distributions already set aside rather than from the portfolio that is working to grow. We might consider a policy to begin turning off the portfolio income spigot and open your cash spigot when markets are down. But notice: all of this is just planning. As Iron Mike Tyson famously said in his boxing prime, “everyone has a plan ‘til they get punched in the mouth.” So, what else can an investor do beyond planning and education in order to be in a position where they (perhaps you) can enjoy ownership’s ability to slay the dragon of inflation without being consumed by the fear of volatility in equity ownership? I believe you should hire a behavioral investment counselor. This is a financial advisor who banks his value proposition and livelihood on helping you endure the unexpected trials and tribulations of life and investment volatility. At Abel Hall we’ve built our practice on the primacy of being trusted advisors who help you lean into the wind when it seems the media and everyone you know may be jumping ship. Life’s too short not to enjoy your investment journey. Please feel free to schedule an appointment so we can give you a second opinion and see if you think you’re ready to work with a tough, but loving, behavioral financial advisor. Any opinions expressed are those of the Drew Hall and not necessarily those of RJFS or Raymond James. The information contained in this blog does not purport to be a complete description of the securities, markets, or developments referred to in this material. There is no assurance any of the trends mentioned will continue or forecasts will occur. The information has been obtained from sources considered to be reliable, but Raymond James does not guarantee that the foregoing material is accurate or complete. Any information is not a complete summary or statement of all available data necessary for making an investment decision and does not constitute a recommendation. Investing involves risk and you may incur a profit or loss regardless of strategy selected. Individual investor's results will vary. Past performance does not guarantee future results. Future investment performance cannot be guaranteed, investment yields will fluctuate with market conditions. Prior to making an investment decision, please consult with your financial advisor about your individual situation. Scenarios described are hypothetical and are provided to illustrate the potential benefits of financial planning. It is not intended to reflect the actual performance of any security or portfolio.